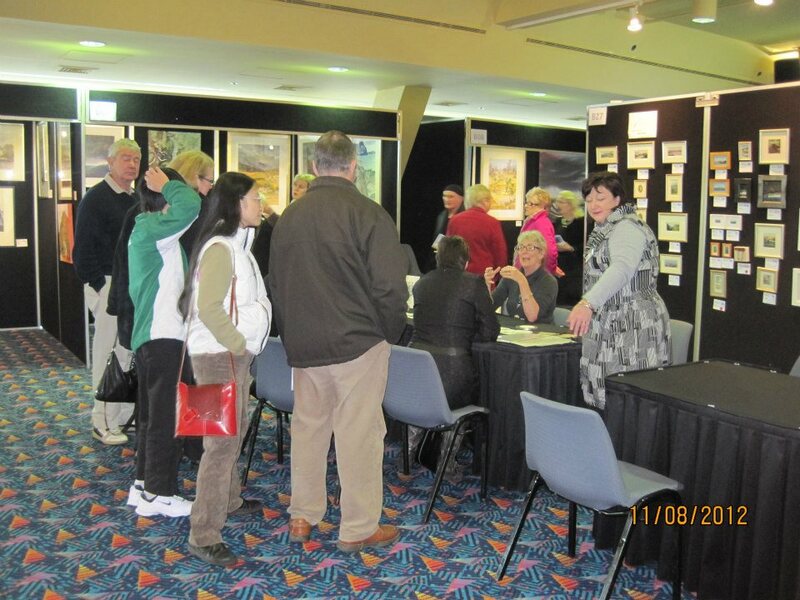 The Rotary Club of Hobart held their annual Charity Art Show at the weekend. 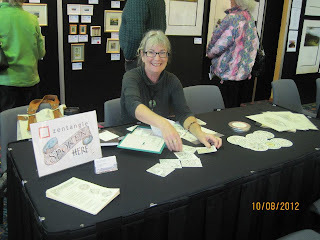 It was a wonderful success with many people interested in Zentangle, it was a joy to share and chat with the crowd who gathered around the table to tangle. 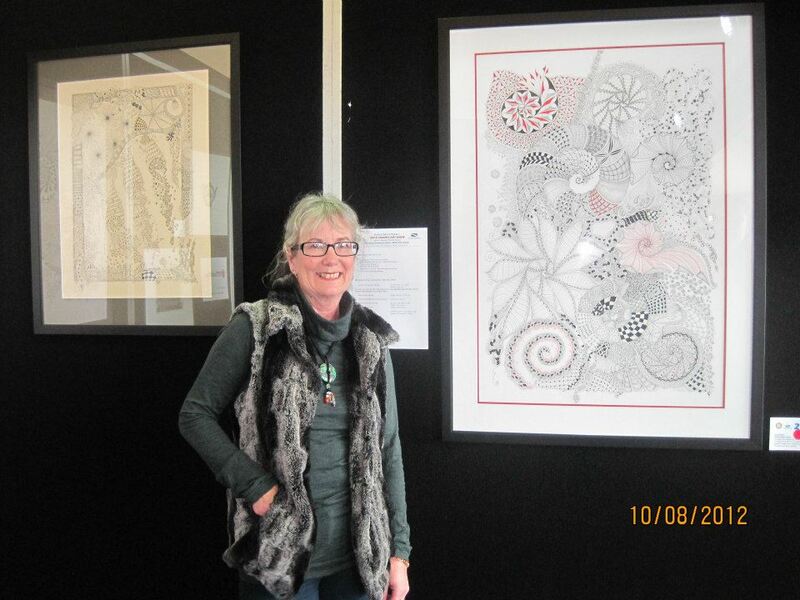 I was extremely delighted that four of my large ZIA pieces sold and 2 smaller unframed pieces also. 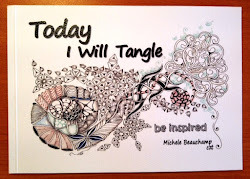 Life in our world of Zentangle is full of beautiful surprises. How fun and congrats on the sale of the large pieces. No wonder you've sold some of your pieces; they are always so beautiful! wooooowwww is true... large pieces...and beautiful! Nice goin, Shel! I love your large pieces. It's also nice to see YOU in the photo! 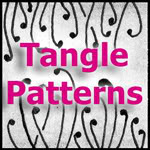 Michele...your tangles show up now and again on tanglepattern.com and that leads to another blog and that leads to another blog...you know how it goes. Suddenly I find that I am on your blog fairly often and have bookmarked it. I am assuming at you are CZT as it is on your blog...I am wondering if you went to Rhode Island in the US for the training? I am new this summer to Zentangle and finding it so fun and exciting and I would like to "share" with my friends down in FL this winter. I have found a CZT teacher near where I live and hope to take a class with her. I am very interested in Zentangle inspired art (coming from watercolor). I have read the "legal" section on Zentangle.com and don't think there are any reasons I should not sell my work too. Right? Are there any other things I should be aware of if I start an "informal" free class? 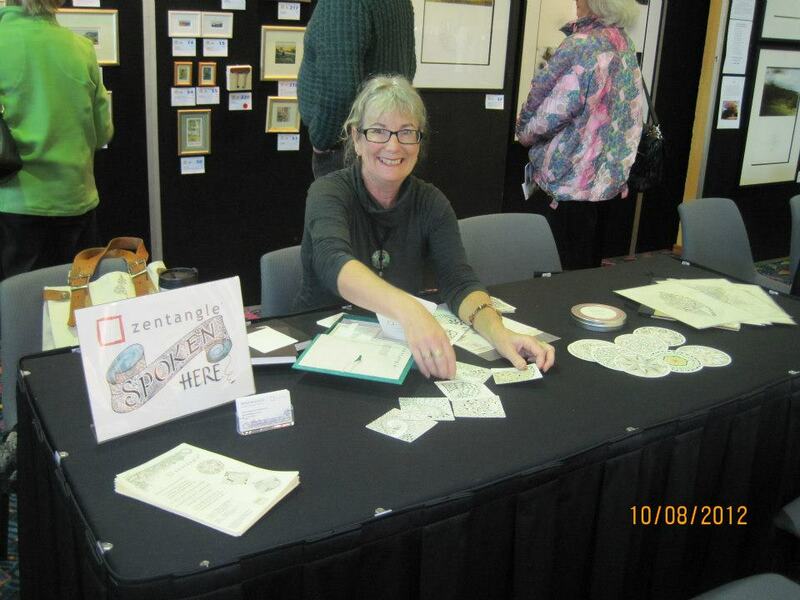 Ginny, yes I attended the CZT seminar last October and luckily sat next to Linda from Tanglepatterns.com. She is from Florida and we have become great mates. Enjoy sharing Zentangle with your friends but I do suggest you try to attend a seminar it is well worth it. On the back of my ZIA's I place a sticker explaining Zentangle and recognise Rick and Maria. My cousin is one of the lucky owners of the above artwork and I am in love with it... When she bought it home I fell in love with it and want my own!!! This is one decent event you hosted there. It is really so nice to know events like this being held everywhere.